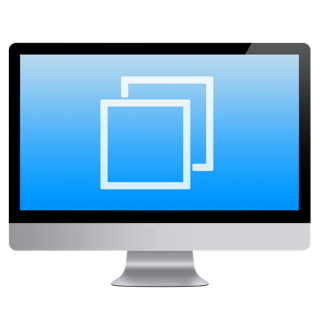 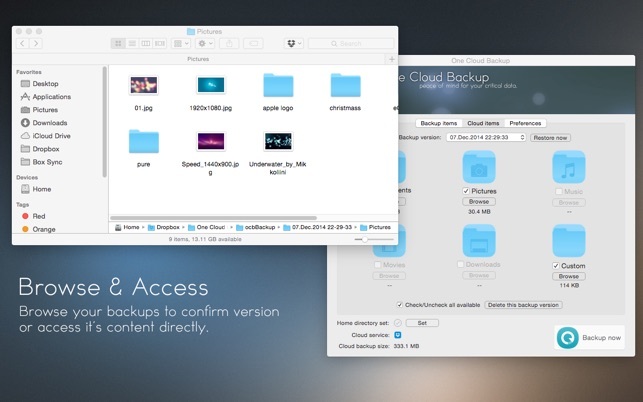 One Cloud Backup is a backup utility that uses Dropbox and/or Box cloud services to backup your data. 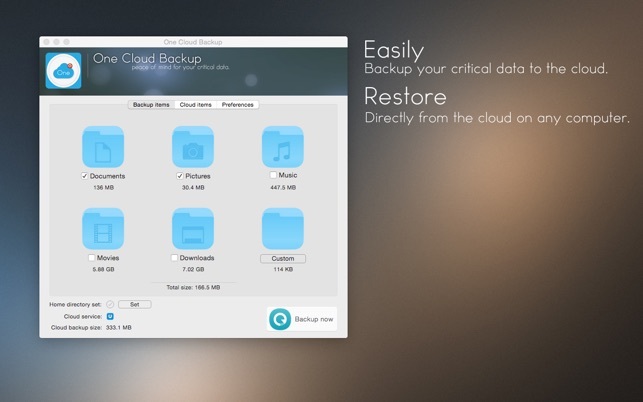 Every time you create a backup the old one is stored so you can easily access older versions of your files by date. 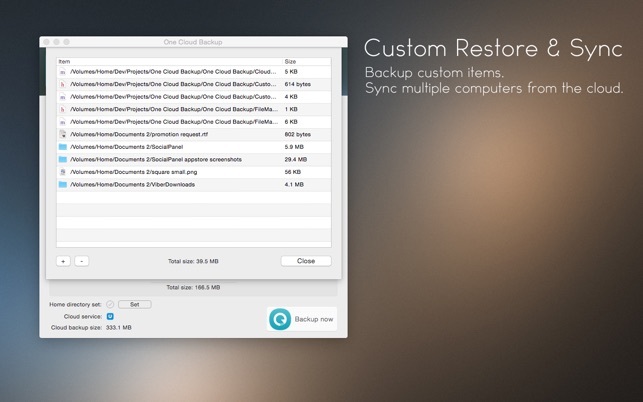 Older versions are easy to delete so you can free up disk space. 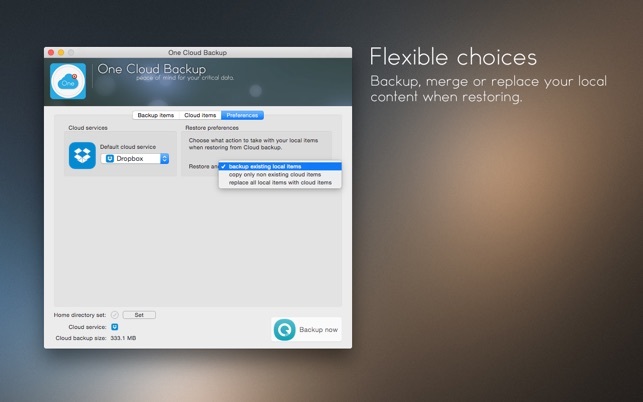 You can easily browse your backups and interact with their content.